Dan has been living in Vernon for a few years since relocating from Edmonton in 2013, and he quickly rekindled his passion for mountain biking when he discovered the awesome mountain biking trails here. 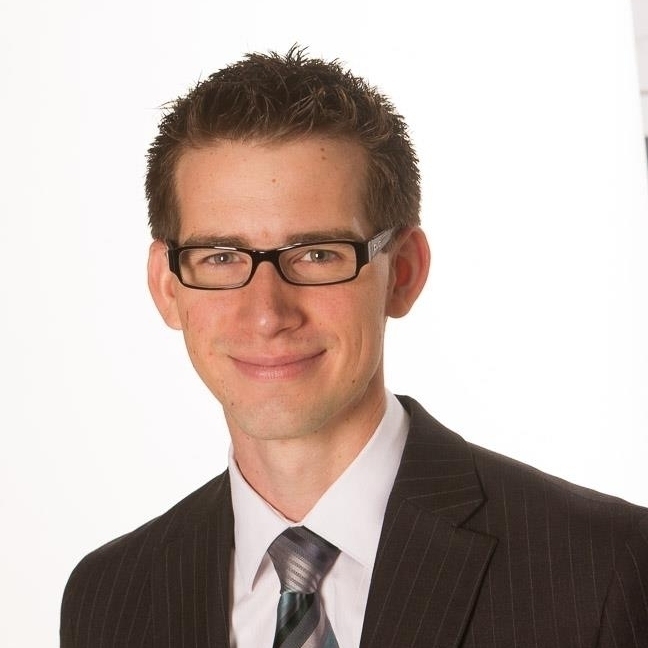 He works as a lawyer at Nixon Wenger LLP in the practice of family law, and spends most of his spare time with his wife and three young children, as well as getting out on his mountain bike as much as possible. Dan has been involved in NOCS since 2014, and since then some of his contributions to NOCS have been updating the NOCS website, administering and updating the North Okanagan's Trailforks page, setting up the new Mailchimp newsletter system and sending out regular newsletters, updating Facebook and the NOCS Calendar with events, and helping with general administration. Matt moved to the Okanagan from the coast back in 2010. He has been actively involved in the mountain biking community and NOCS since 2011. He officially took the president’s role in 2016, after being instrumental in improving the clubs relationships with BC Parks, starting a relationship with Rec Sites and Trails BC, getting community buy-in to the toonie rides and support for trail build and trail build events, as well as pushing the mountain biking agenda with our local governments and tourism. He can be found in his free time chasing his many children and generally having fun on the dirt or snow depending on the season. He is looking forward to helping the North Okanagan become a premiere mountain biking location for locals and tourists alike and encourages all things bike. Nicole's pretty much a local girl; born in Texas but raised in the Okanagan. Her love for the outdoors, lakes and mountains kept here in Vernon. Nicole is a registered Social Worker with Interior Health and finds It's a beautiful community to be part of. Through NOCS, Nicole coordinates the Trail Ninjas youth bike program and the annual massage fundraiser for the program. She is stoked to be expanding this program every year to help keep our girls and boys on bikes, out on the trails and future leaders in promoting our parks. Stacey is the most long-standing member of the NOCS Executive and has been keeping us all in line for years! An accountant by trade, her skills keep NOCS running smoothly and fiscally responsible. She has been both the Treasurer and Secretary for NOCS for many years, keeping track of our money, our membership, and many other things. Nick’s love for the outdoors brought him to the Okanagan five years ago. Nick works locally as a kinesiologist for an injured workers program and as an orthotic technician. Nick is passionate about biking and enjoys the variety of trails the Okanagan has to offer. Nick’s primary focus while on the board for the last two years has been the development of a bike skills park in Vernon. He has been involved in driving the need for skill building infrastructure that will be accessible for beginner-intermediate mountain bikers and will complement the grassroots programs that NOCS is affiliated with. Nick is responsible for completing grant applications for this project. With the help of city staff, NOCS has applied to 6 local funding agencies and has been awarded $55,000 for this project. Nick plans to continue to push this project forward and secure funds to make it a reality. For more information about bike skills park progress, Nick encourages members to attend the AGM on March 2nd, 2017. "I love my home trails more than any of the trails I've ridden around the world. That said I joined NOCS seven years ago because I dream of potential we have to make this a truly special mountain bike mecca. We have all the ingredients: a long season, 3 beautiful provincial parks, a bike park, every type of microclimate from the dessert to rainforest and a bunch of lakes to cool off when you are done. I believe NOCS has a great plan to make all these ingredients connect and make our everyday day riding in Vernon truly world class." "I bring some trail expertise when it comes to navigating the government, I love all aspects of trail building from the initial planning, through layout, all the way to digging. I have some trail projects I need to finish before I'll let the next generation fully take over!" "NOCS has come along way from seven years ago and its future is very bright!" Dave has lived in Vernon since 2012 upon returning to the Okanagan after a stint as Adjunct Professor in the School of Historical, Philosophical, and Religious Studies at Arizona State University. He is currently a Professor in the Department of Philosophy at Okanagan College, which he is quite happy about since it is just about the closest post-secondary institution that he can think of to amazing biking and skiing. Since 2014, has participated in the organization of various NOCS events, including movie premiere fundraisers, toonie ride schedules, trail maintenance days, and the bike fest. He helps out with the web-page, and the calendar. He is the co-founder (with Nicole Guerrero) of NOCS's Trail Ninjas Youth Program, which he continues to help grow and flourish. As a dedicated leader, Dave looks forward to continue to advance mountain biking as a catalyst for change in our community. 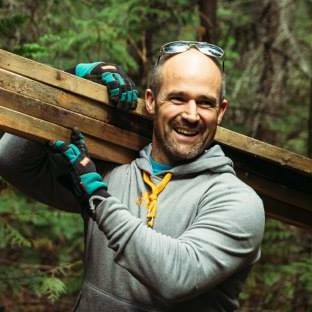 Tom has just recently since the 2017 AGM joined our board and has volunteered to head up organization of Trail Maintenance. Welcome aboard, Tom!